When will the migration from PCs be complete? IBM Digital Analytics Benchmark (report is here) has published, for the fourth year in a row, US online shopping traffic data with a split between mobile and fixed online traffic. 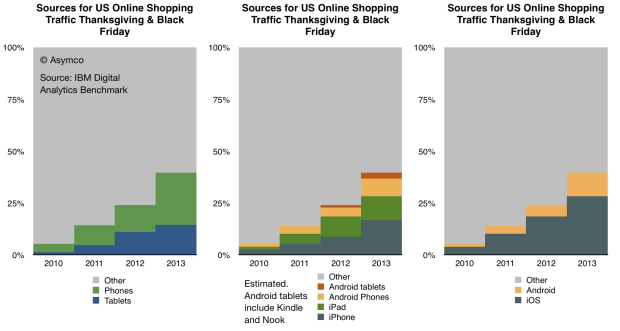 It reveals a pattern of consumer behavior which is quite startling: people seem to prefer to shop using mobile devices. In terms of sources of traffic, mobile devices (including tablets) have increased from about 5% of all online traffic to 40% in four years. Last year the volume was 24% implying that 16 points of share were gained in one year. 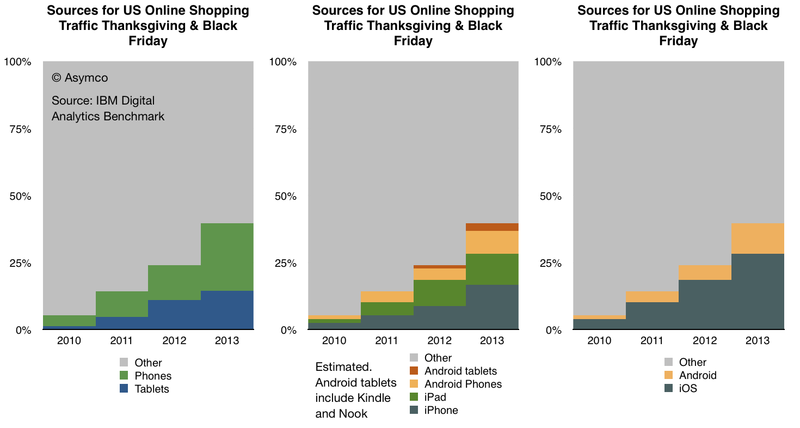 If that is extrapolated to next year then more than half of holiday shopping traffic in 2014 will be on mobile devices. Put another way, next year less than half of users will hire a PC for the job of online shopping. If this conversion from PC-based shopping to device-based shopping follows a logistic substitution curve then the conversion to devices will probably be 90% complete in another 5 years or by 2018 or 2019. I see no reason why this particular job to be done (shopping) should not be considered a proxy for other jobs as well. Therefore it’s not a stretch to imagine that the transition to post-PC consumption will also be practically completed by 2020. The pattern of slowing tablet growth is likely due to the slowing growth in iPad sales. This itself is due to the lull in product launches as the shift to fall only iPad releases took place in 2012. The consequence is that iPad traffic contribution only increased by 2 percentage points, from 10% in 2012 to 12% in 2013. Compare this with the doubling the previous year (from 5% to 10%). 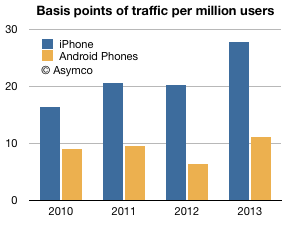 The way to read it would be that each million iPhone users generated about 28 basis points of traffic while each million Android users generated about 11 basis points of traffic. So, as far as phones are concerned, US iPhone users are about 2.5 times more likely to shop online than US Android phone users. The data is reliable: with the US population now over 65% penetrated with smartphones, these populations of users (totaling over 130 million) are vast and representative. As the technology is reaching deep into the late adopter segments the difference in behavior between iOS and Android usage is becoming easier to explain. We have to eliminate quirks of demographics or income or other possible causes. The platforms themselves are becoming the last remaining suspects as causes for differences in the behavior of their users. 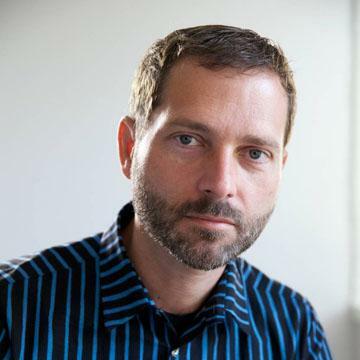 ‹ Previous Post When will there be one billion iOS devices in use? › Next Post Sponsor: Fracture. Your picture, directly on glass.